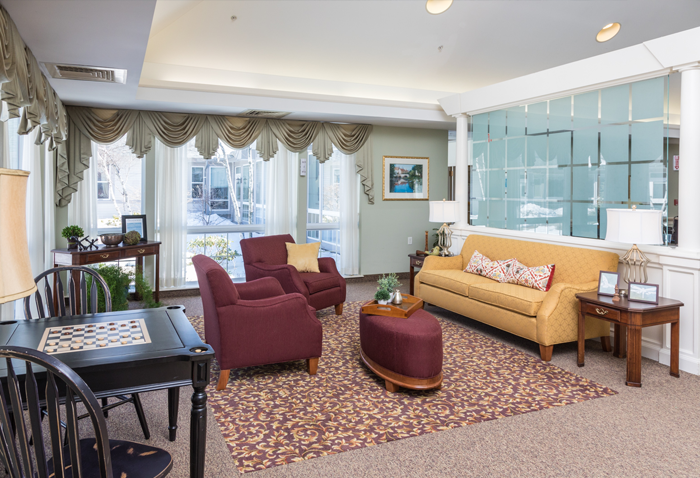 Nestled in the peaceful, wooded town of West Boylston, we are a nursing home in Worcester, MA providing short- and long-term care and sub-acute rehabilitative services. A part of the non-profit, non-denominational Briarwood Continuing Care Retirement Community, we treat our residents with utmost respect, attention to detail, and genuine care for their well-being. We have come to know our residents very well, and bonds of friendship are often forged between staff and patient. We provide excellent care to all of our residents with our strong clinical team and staff. We are united by the belief that we should care for our patients the same way we would care for our own family members. Our 82-bed facility features state-of-the-art nursing care amenities with all the comforts of home. We provide a place for seniors in need of a safe and comfortable living arrangement, as well as a strong healthcare environment for those recovering from an injury or illness. Our multi-disciplinary medical and nursing team, along with compassionate support staff and volunteers, are here to ensure that all residents get a personalized level of care for all facets of living. The Knollwood Nursing Center is a nursing home unlike any other. We offer long-term care in a warm, family-oriented, fun-filled environment that our residents adore. We put forth an enormous amount of effort to ensure that are residents are happy, healthy, well fed (with food that they enjoy), and having fun. Our residents, and their families, frequently profess their love for Knollwood because of our unparalleled clinical capabilities, commitment to our residents’ happiness, and sincere and family oriented atmosphere. 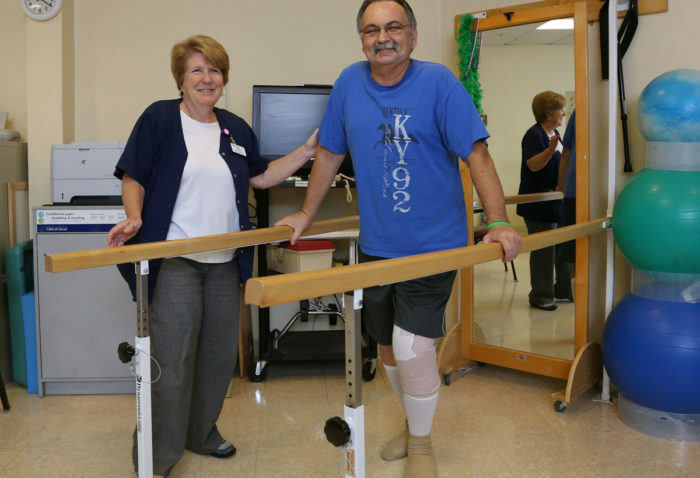 Knollwood Nursing Center is a haven for loved ones recovering from an injury or illness. We offer comprehensive sub-acute rehabilitative care and have a nursing staff with strong clinical skills to help patients get back on their feet. We take excellent care of our patients and strive to return them to their homes and families as quickly as we can. Our residents find a great deal of solace knowing that they are recovering in a warm and supportive atmosphere. Interested in Knollwood Nursing Center? Do you have a loved one at Knollwood Nursing Center? Perhaps you are just a fan and want to stay abreast of our news and happenings. We will keep you updated on the happenings at Knollwood here! Knollwood Nursing Center is a top skilled nursing provider in Massachusetts, as published in U.S. News & World Report’s recent listing of top nursing homes across the country. We are proud and honored to be recognized in the magazine’s select group among the 412 nursing homes in the state. Blog Post: Who Will Pay for Baby Boomers? Last time we looked at the overall health picture of baby boomers and surprisingly saw they suffer with a greater degree of chronic illness than their parents. And, while a good portion of this demographic continues to work, the group as a whole represents more than 25% of the American population, and some are retiring (or have already retired). The doctor was very available and the nurses as well. Our family was very impressed with the care - very attentive, friendly, competent and flexible with visiting hours. We very much enjoyed being able to enjoy a family dinner in the conference room. We would highly recommend KNC.